A range bag. A discreet carry bag. The perfect organizer for your pelican case. The Incog™ Subgun Bag is all of the above. The bag is 24" long and designed to hold subguns or a broken down carbine, the Incog™ Rifle Bag is the perfect way to transport your kit to the range without drawing attention to yourself. 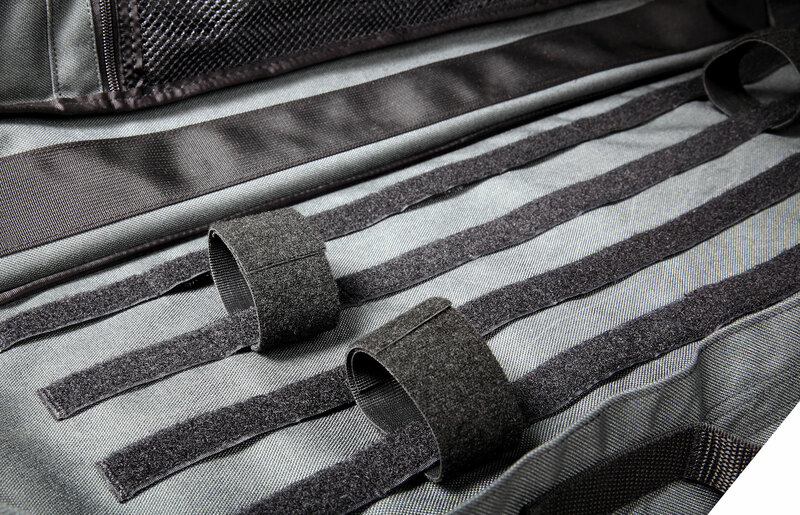 Offered in our signature Disruptive Grey™, the Incog™ Subgun Bag is built from a durable 1000D Cordura outer body sewn with nylon thread, 9-12 stitches per inch, and reinforced bar tack construction. The Incog™ Rifle Bag is an ideal organizer to layout your handgun, Subgun, chest rig, magazines and other range essentials in a single organized unit for easy transport.